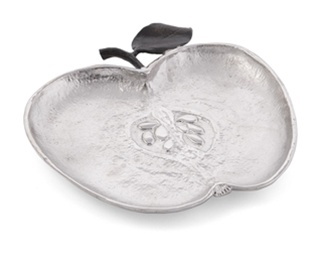 Michael Aram's work is always typified by organic shapes and themes. The Fruit Collection offers an interesting range of items for the home. Each can stand on its own as a simple and charming sculptural object that's perfect for oneself or as a gift. The fact that they also have a functional purpose in our daily lives makes them even more special.